I’ve just returned from a very pleasant Easter break with my parents up in Cheshire. We’ve had a great time, with Scarlett having plenty of space to run around in, Timmy the dog to play with, and a visit to Chester Zoo to see the elephants and tigers (and the Giant Otters are highly recommended). All in all a very nice few days. Even with all this going on, I found time for some badger-related activity. I was lucky to have the local knowledge of my parents to guide me, and I was able to visit a few different setts. The first sett is instructive. 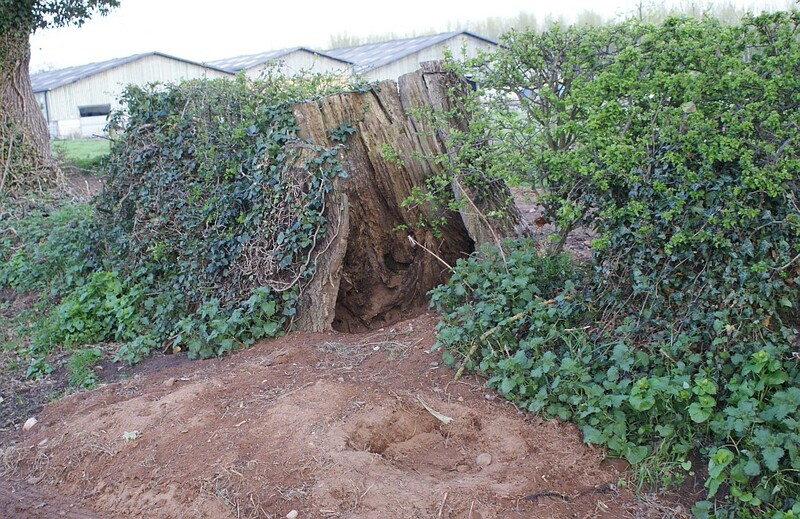 Here it is – a splendid entrance inside a hollow tree in a hedgerow, with a big spoil heap of sandy soil. Badgers seem to like to have sett entrances in or under trees, either for support or protection. 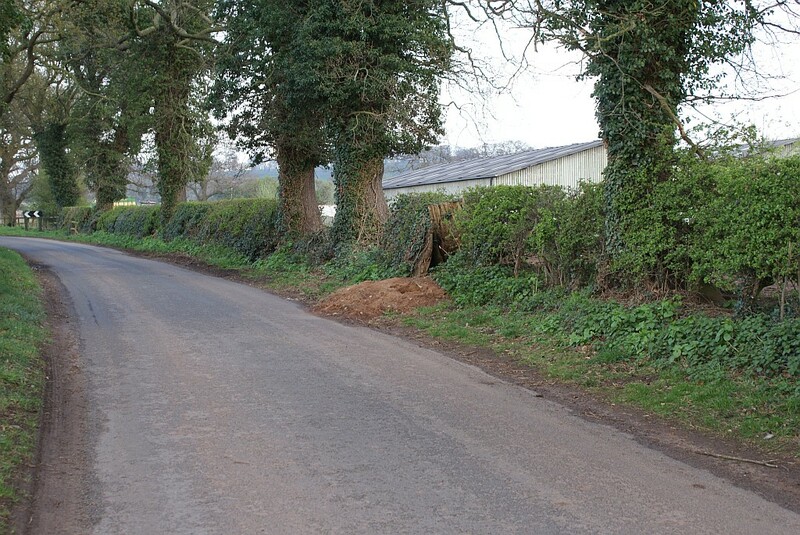 Perhaps it’s a little close to the farm buildings behind, but still a very nice place for a hedgerow sett. The Hollow Tree Badger Sett - next to the Road! As you can see, it is right on the road. Not a big road or a busy one, but right on the road. It shows just how adaptable badgers can be, and that not all badgers are to be found in the depths of secluded woodland. I spent a few hours on Saturday evening sitting out by a large sett in a patch of woodland near Delamere Forest. Unlike the roadside sett, this particular site is well off the beaten track, so I had high hopes of spotting the residents. It was not to be, however, proving that the badgers in Cheshire can be just as awkward as those back home in Bedfordshire. The sett was clearly active, with deep paths and four holes with big, fresh spoil heaps outside. It was a good site to watch too, with the holes in the side of a steep ravine. I could sit on the other side and get a clear view as if across an arena. I watched until dusk (8.20pm), but I had no night viewing aids (binoculars or NV scope) with me, so I didn’t stay too late. Perhaps the badgers were using other holes round the corner. Perhaps Cheshire badgers are just late risers. It was still a good evening. I listened to the alarm calls of Blackbirds and watched as a Tawny Owl – the target of their alarm – crossed the trees in front of me. 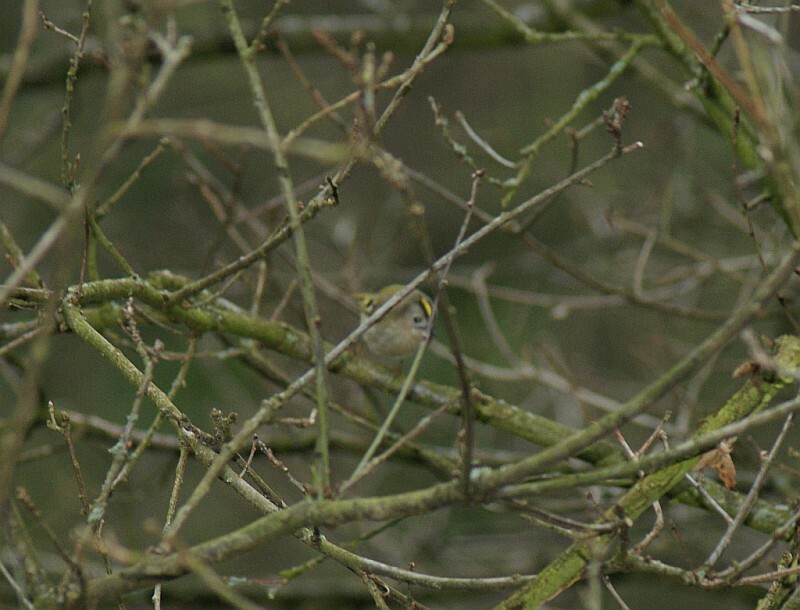 I spotted a Goldcrest flitting about in a low tree, which is a new bird for me. 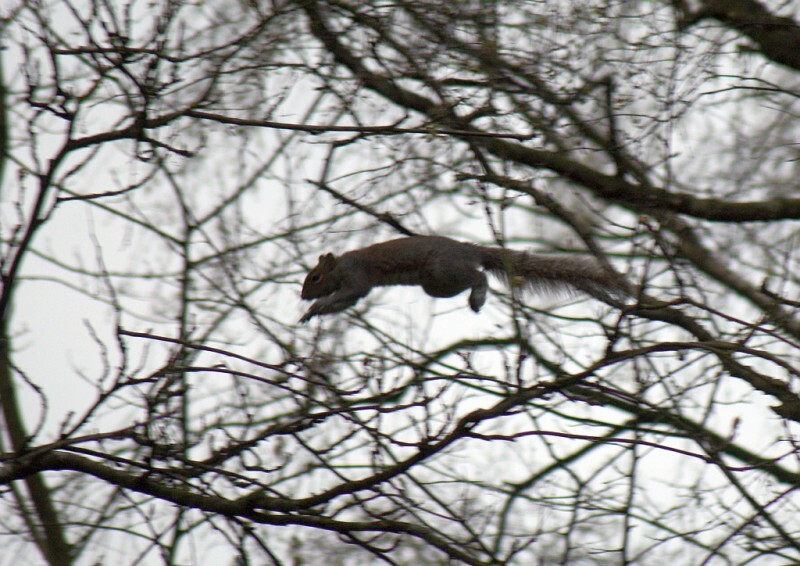 Unfortunately, autofocus lenses can’t pick out a bird from a tangle of branches, so the photo isn’t great. You can see the bright yellow stripe on its head though. I know it’s there, anyway. So no badgers, but it was a good weekend all round. 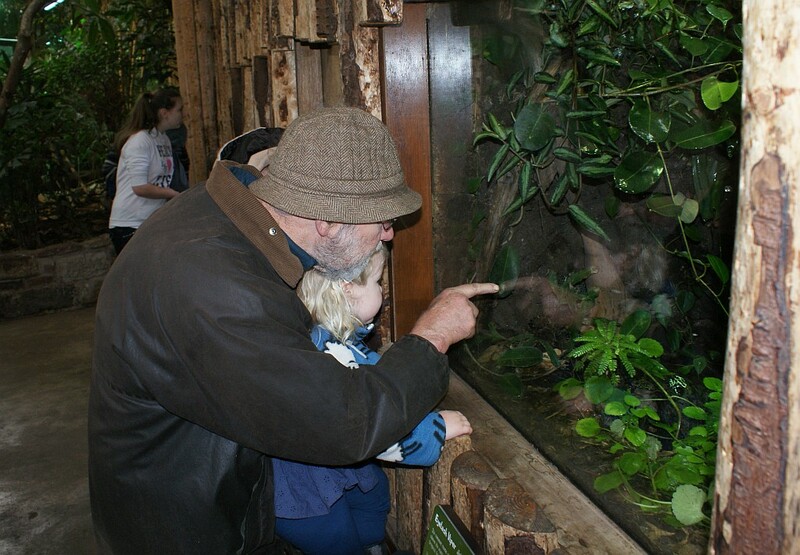 A nice family break, a visit to the zoo and some new wildlife. Happy Easter everyone.